Week 2 is in the books and the college landscape is starting to take shape, sort of. Alabama looks unstoppable (again), Rodney Anderson is out for the year (again), the Aggies should have upset Clemson, and Cole McDonald from Hawaii leads the nation with 13 passing TD’s. There was quite a bit to digest last week with injuries to multiple key players and the constant depth chart shuffle taking place before our eyes. This week is sure to be just as exciting and full of surprises. How will Hurricane Florence impact East Coast games that don’t get canceled? Who does OU turn to in Anderson’s absence? After Florida State looked a little suspect against Samford can they rebound on the road at Syracuse? Can Hawaii keep their high flying offense on track and move to 4-0? All this and more as I provide my analysis for this Saturday’s main slate. 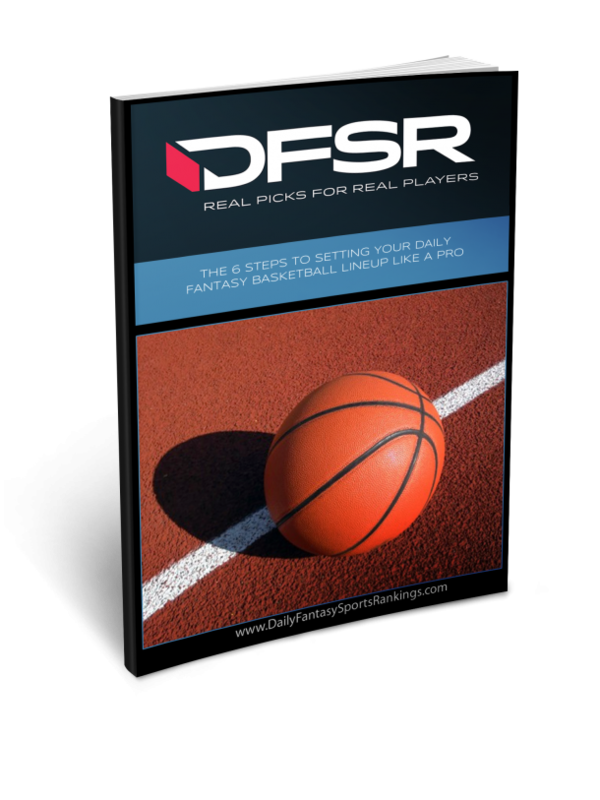 Getting started with DFS college football? We'll have you covered all season long. 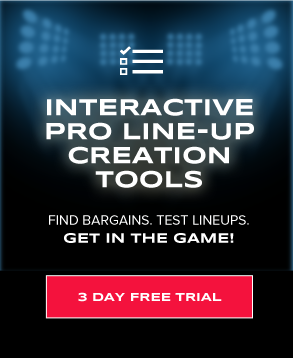 You can also sign up to access our NFL and MLB projections and lineup optimizers for NFL and MLB. Your subscription will also include access to premium content, our members only chatroom, and more! I believe the saying goes, “if it ain't broke don't fix it”. That can certainly be said of Cole McDonald and the Hawaii offense. The Rainbow Warriors have entered each game this year as underdogs, yet they sit at 3-0. This week is no different as they travel to West Point, NY to take on an Army squad as 7pt dogs with a total currently at 62. The line has me a bit confused given Hawaii games have averaged roughly 83 points scored per game and they’re 3-0 with double-digit wins against Navy and Rice (and a nine-point win against Colorado State). Army isn’t the cellar dweller it once was, but they’re far from elite status. Maybe the betting public is buying into the time zone narrative seeing how the game will kickoff at 6am Hawaii time. Either way I’m not concerned about points being scored in either direction. In addition to his gaudy passing numbers (13 TD’s), McDonald also has immense rushing upside, albeit inconsistent, evidenced by his 96 yards and 2 TD’s against Colorado State opening night. Hawaii deploys some version of the run-and-shoot offense which not only is fun to watch but is very advantageous for fantasy production. Many of the routes are option routes that rely on the receiver and quarterback being on the same page in regards to reading the defense. Through three weeks it’s fairly obvious McDonald & Co. are on the same page. Coaches like to ride the hot hand and why should we be any different? Hawaii is averaging a staggering 48.3 pts per game and unless the time zone thing scares you it should be all systems go. Warriors move to 4-0 with a 41-33 win. Syracuse record books are in serious jeopardy with this cat running the offense. He can beat with you his legs, as evidenced in Week 1 against Western Michigan when he ran for 200 yards and one touchdown. Or he can beat you with his arm like he did against Wagner by throwing 5 TDs. FSU will definitely be the most talented defense he has faced so far this season, but in the friendly confines of the Carrier Dome I think Dungey and the Orange are up for the task. Vegas set the total at 63 and it now sits at 68, so I’m not the only one that thinks the scoreboard operator is going to have a busy day. Syracuse seemingly upsets a Power 5 school every year, just ask Clemson. 'Cuse currently sits as three-point underdogs so it’s hard to say this would be a major upset, but nevertheless, I expect the Orange to be ready to roll come high noon. Dungey is prone to throwing the occasional INT and his receiving corp is suspect as a whole, but with a total near 70 and dual-threat ability he’s the type of player I like to target for cash games. Plenty of upside here as well so fire away across all contest formats. While much of the attention will be on Hawaii and their high-flying offense, and for good cause, let's not forget the guys on the other side of the hash marks. There are a few things to like here, but what I am most interested in is Hopkins’ 28 rushing attempts through two games. Army uses a modernized Flexbone Offense, which is a fancy way of saying triple-option, that utilizes its QB primarily as a ball-carrier as opposed to passer. While Hawaii’s offense has been stealing the headlines, their defense leaves much to be desired as they’re allowing almost 35 pts per game. Hopkins threw for 197/1 and ran for 37/1 against Duke opening week, which is no small feat as Duke has a very underrated defense. Last week his numbers weren’t as impressive, but the game was well in hand and we saw Army give a more equitable carry distribution. I expect this to be Army’s best offensive game of the year and I think we’re buying Hopkins at a slightly discounted price based on the first two games. As with all option offense players, the ceiling can be a bit limited due to the scoring being spread across multiple ball carriers, but in this game I love his floor. Arguably my favorite cash play at the position when considering salary. Mason entered the season as RB2 for GTech. He ended up drawing the start Week 1 due to KirVonte Benson being suspended for the first quarter. Then last week Benson went down with an injury after just five carries and Mason filled the void with 13 carries for 95 yards. Yes, we would have liked to see a touchdown there and more carries, but let’s remember he didn’t start the game and he out-carried the next RB by nine. Only QB’s Marshall and Oliver had more carries, which can be expected in the Triple Option offense. As of this writing, Benson is doubtful paving the way for Mason to start and receive a full allotment of carries. That doesn’t mean he will get 25 carries, but pushing close to 20 is a reasonable expectation. Tech enters the game against Pitt as five point road favorites with a total currently at 54. Last week Penn State ran all over Pitt for 200 yards and 3 scores in what some would consider a light rain. Now enter the Option offense which specializes in running the ball and it’s a recipe for success. Assuming Benson is out Mason makes a perfect cash play. In two games this season he has 24 carries for 180 yards and one score. Give this man 18-20 carries, which he should get without Benson in the mix, and I’ll stop just short of guaranteeing 100 and a touch. At this price, I love his floor and he offers a tad of salary relief in order to fit more expensive players. I am a little shy with his ceiling. In this offense the QB and AB are the most likely to score touchdowns inside the five yard line so unless he takes it to the house from further out he may get vultured at the goal line. Mattison is your classic workhorse back, seemingly on the field the entire game. Boise St will travel to Stillwater, OK as three-point dogs to take on the Cowboys and what is sure to be a raucous crowd. Both teams opened with a somewhat soft schedule so this will be the first true test for each squad, although I think Troy is a respectable program. I actually like Boise to steal the win here using a heavy dose of Mattison to close it out. With Boise cruising to lopsided victories Mattison hasn’t received more than 14 carries in a game and only has 25 on the season. Hardly workhorse volume. Don’t be fooled, however, these were blowout wins for the Broncos and why risk the health of your talented RB1? With a total sitting at 63 and the game expected to be close, I think it's a safe bet Mattison sees his heaviest usage of the year and doubling up on his season total wouldn’t surprise me one bit. Boise has a balanced offense with a more than an adequate passing game so Okie State won’t be able to stack the box, which should create running lanes for Mattison. This is more of a cash play for me as Boise tends to spread the scoring out, but I really like the floor at this price. Sticking with the same game here just changing sidelines. Hill comes in a tad bit more expensive than his counterpart Mattison, but I think the salary bump is justified and possibly a bargain. Hill has seen a total of 19 carries on the young season and is surely in line to double his season total. OK State has played what amounts to two glorified high school teams to open the season so this Saturday they’re going to need their star running back to touch the ball early and often. Hill really is one of the better backs in the nation and his use in the passing game and goalline work make him the perfect cash and GPP play. The Cowboys are known for running the spread offense and chucking it deep to one of its many talented WR’s, but that’s not to say they don’t run the ball. They do and often. In addition to having a capable passing attack to keep the defense honest, they often run out of four-wide sets, which can many times leave a smaller DB trying to make the tackle. We all know coach Gundy and his mullet will be on full display, but when it’s all said and done my man pots and pans is going to steal the show. I fully expect a heavy dose of Justice Hill this Saturday and he could inch near 30 touches. Simply put, he’s their best player and Gundy is no fool. I prefer Hill to Mattison if the salary works and will certainly have exposure to both. Modster is the defacto #1 receiver for the Broncos and while they have other weapons that are capable, there is no question who's atop the pecking order. Week 1 against Troy, Modster finished with a 7/167/2 stat line and was the clear choice for quarterback Brett Rypien. Last week, he still led the Broncos in receptions with six, but failed to break the century mark or find pay dirt. The score was 62-7 which never bodes well for a receivers volume. Call me crazy, but this week’s game is going to be much closer, which means a full allotment of Rypien to Modster. While he will certainly draw the attention of the defense they won’t be able to double him consistently with the other weapons (Mattison) the Broncos have. At this salary, I prefer Bryd from Hawaii, but I will also have plenty of exposure to Modster. You can expect him to be the team lead in targets and receptions offering a pretty solid floor for cash games and also plenty of upside for GPP. Salary relief with decent upside is the name of the game with Mr. McKitty. FSU looks like a shell of its former self, but a defense like Syracuse is just what the doctor ordered. Vegas is calling for tons of points with a total sitting at 68, which is up from 63 where it opened. I will say it’s a little tough to gauge where McKitty falls in the offense and just how consistent he will be. Against Virginia Tech the entire Seminole offense forgot to get off the bus and McKitty finished with just 25 yards. Last week against Samford (eye roll emoji) he was able to go for 59 yards and find the end zone. I like a few things here; the salary is forgiving, he still has five grabs per game, and the total of the game is 68. I wouldn't expect 9/144/2 when the final whistle blows, but at this price in this game it’s hard to imagine he sinks your lineup. He’s a great low-end roster filler with a smidge of upside. Mattison is 7,100. Do you still like him at that price?